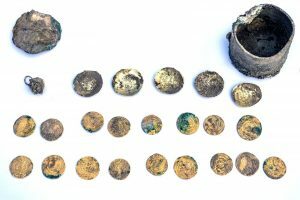 A trove of rare gold coins and a 900-year-old gold earring were discovered a few days ago in a small bronze pot hidden between two stones in the side of a wall in Caesarea National Park. The wall was part of a house that archeologists believe stood during the Abbasid and Fatimid periods (909-1171 CE), coinciding with the Crusader conquest in 1101. Kool said that the coins did not circulate locally and may indicate the existence of trade between Caesarea and Constantinople during that time. 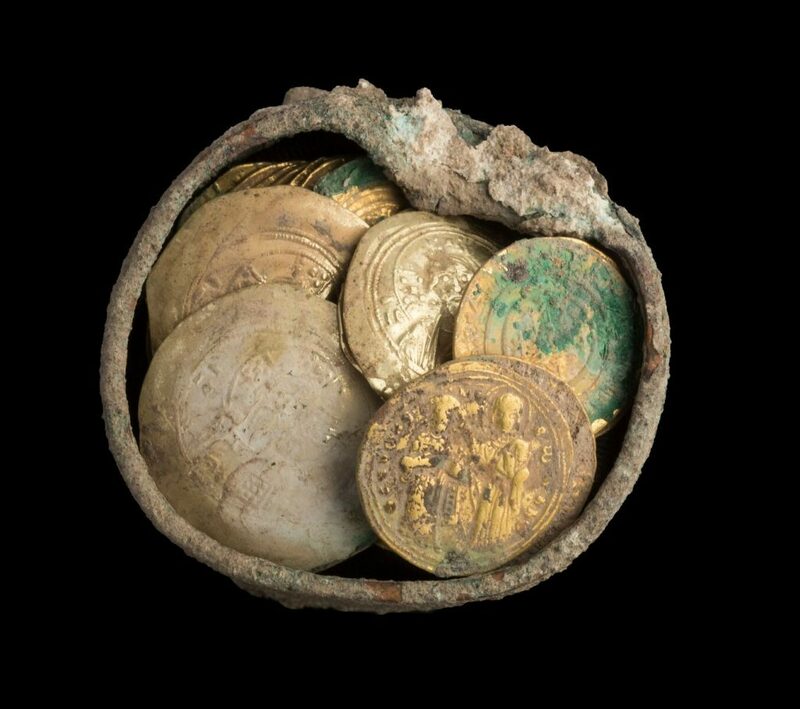 Just a few of the coins would be equal to a farmer’s annual salary, so whoever owned the cache was likely wealthy or involved in trade, Kool surmised. The multi-year Caesarea project is sponsored by the Edmond de Rothschild Foundation in the amount of 150 million shekels, in cooperation with the Caesarea Development Corp., the Antiquities Authority and the Israel Nature and Parks Authority.